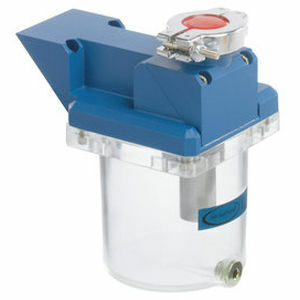 The vacuum pump at the inlet is protected from the particles and liquid droplets because of the Separators (AK). Air, outside as well as inside is protected from contaminated oil mist by the Oil mist filters (FO). Both feature plastic (PMP) catch pots having good chemical resistance.